We specialize in Mesquite grilled steaks and Bar-be-cue, seafood, family food and good old American favorites, including great cheeseburgers. Folks drive from all over to enjoy dining at The Mesquite Pit and we are always happy to see old friends and make new ones. We think that the Mesquite Pit restaurants are about the finest eateries of their type in the area. We specialize in Mesquite grilled steaks and Bar-be-cue, seafood, family food and good old American favorites, including great cheeseburgers. 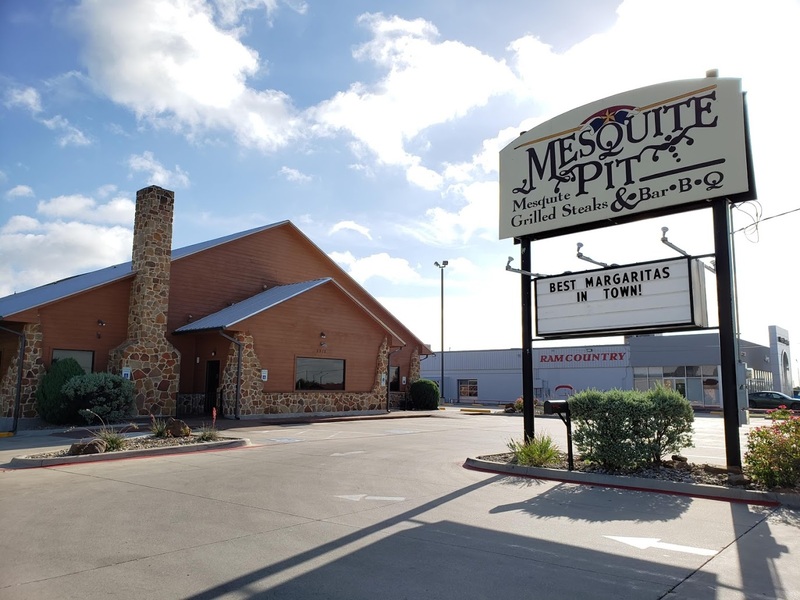 Folks drive from all over to enjoy dining at The Mesquite Pit and we are always happy to see old friends and make new ones.